This entry was posted in Blogs on April 23, 2019 by Monica Hankins. This entry was posted in Blogs on April 11, 2019 by Monica Hankins. 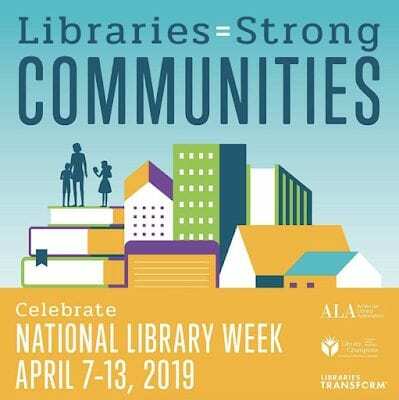 National Library Week/April is School Library Month! Every year in April, we celebrate School Library Month. It’s a time to give special recognition to school librarians everywhere and for their efforts in the community to get children excited about reading! Visit your school or public library today and check out a book! This entry was posted in Blogs on April 9, 2019 by Monica Hankins. PR 38- Care to the Core Salina caring chain – Students at Salina Elementary look at a caring chain wrapped through the hallways during the 2018 Care to the Core event in Dearborn Public Schools. Each link of the chain lists an act of kindness shown between students. This year’s Care to the Core Day is scheduled for April 26. PR 38 Care to the Core HFEC cleanup –Henry Ford Early College students participate in a campus cleanup during the 2018 Care to the Core Day held by Dearborn Public Schools. Care to the Core highlights activities that foster better behavior between students and improve the school environment. This year’s Care to the Core Day is set for April 26. This entry was posted in Blogs on April 8, 2019 by Monica Hankins. Libraries (Media Centers) play an integral role in education. Dearborn is proud of the great work that our Media Specialists do every day. NOW, THEREFORE, I, Gretchen Whitmer, governor of the State of Michigan, do hereby proclaim the month of April 2019 as School Library Month in all public schools in the State of Michigan, and I urge all school boards, superintendents, school administrators, teachers, students, and citizens to join me in recognizing school libraries for the outstanding services they provide. This entry was posted in Blogs on March 28, 2019 by Monica Hankins. This entry was posted in Blogs on March 27, 2019 by Monica Hankins. The MSTEP is coming! Testing for the Michigan Student Test of Educational Progress will begin Monday, April 8th right after Spring Break. Students in grades three through five will be tested during this window. It is very important that your child is at school on the above dates to take the MSTEP test. However, if your child misses any of the following dates due to illness or an emergency, the test will be administered on another day before May 23. Students will not be allowed to take any part of the test after May 23, 2019. Listed below are some helpful ideas for parents to use during this year’s testing window or for any testing situation in the future. Note test dates on your home calendar; schedule appointments on non-testing days. Encourage your child to take responsibility for doing their best on the test. Help you child learn how to find information independently. Praise your child for work done well. Encourage your child to ask questions at home and in class. Gather available test preparation materials. Assure your child knows that you value a good education. See that your child is rested and eats breakfast. See that your child arrives at school on time and is relaxed. Encourage your child to do the best work possible. Do not remove your child from school on test days for appointments. Students may experience anxiety about tests and may experience heightened anxiety before a testing situation. A certain degree of test anxiety is normal and may help students prepare more effectively, work more efficiently, and remain focused during testing. Too much anxiety, however, can negatively affect performance. The following strategies may assist students and parents in reducing test anxiety. Discuss the test openly and in a positive way. Have realistic expectations of your child’s performance while encouraging his/her best efforts. Emphasize that test scores do not determine a person’s worth. Please contact the school with any questions regarding MSTEP testing. Thank you so much for your assistance in making this testing a success for our students! This entry was posted in Blogs on March 25, 2019 by Monica Hankins. This entry was posted in Blogs on March 21, 2019 by Monica Hankins. This entry was posted in Blogs on March 20, 2019 by Monica Hankins.